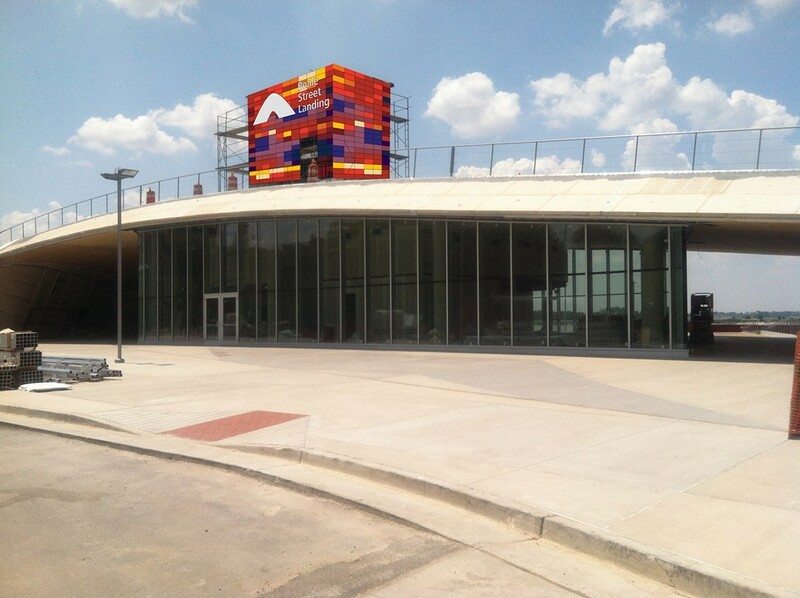 From concept to completion, Beale Street Landing has been wrapped in controversy. 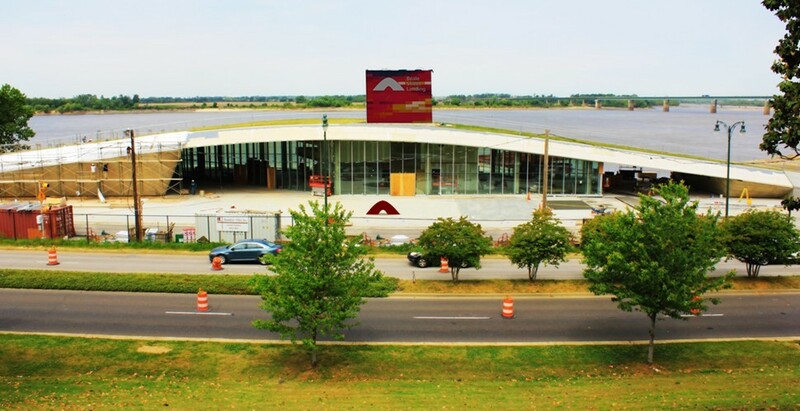 Now comes a rendering of the elevator shaft atop the grassy hill atop the restaurant and pavilion atop the banks of Tom Lee Park atop the Mississippi River. The proposal was set to go before the Downtown Commission's design review board June 6th, but on Thursday afternoon the Riverfront Development Corporation asked for a delay. "RDC just withdrew their signage application to DRB for this month because they didn’t have a very good depiction of what the signs would actually look like," said Paul Morris, executive director of the Downtown Memphis Commission. He said it could be reset for July. Meanwhile, here are a couple of renderings that may or may not make the DRB meeting in July. The one atop (ha!) this post came from the RDC. The one below is compliments of Friends For Our Riverfront. "The rendering is a conceptual depiction of the exterior of the elevator enclosure," said Dorchelle Spence, spokeswoman for the Riverfront Development Corporation. "However, the exact colors and patterns of the multi-colored panels may vary from what is shown and appear more muted. The attached rendering is the architect of record’s presentation of what the elevator enclosure will look like." Virginia McLean of the group Friends For Our Riverfront has a different view. "The proposed shaft/sign is a major change from the natural beauty along the riverfront in which Memphians have long taken pride and enjoyed and actually really taken for granted," she said. "Options and alternatives to colors, materials, and lighting should be considered." This is the other view. Do not adjust your set.